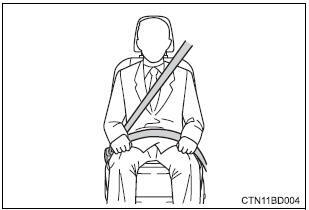 Adjust the position of the seatback. Sit up straight and well back in the seat. 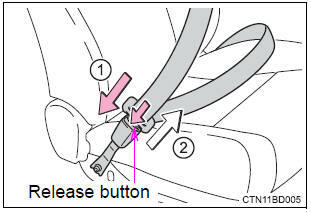 To release the seat belt, press the release button.